More than 300 staff at the University of Bath are set to benefit from a pay rise this spring, after UNISON and the university worked together to ensure that the latter can now call itself an accredited living wage employer. Set to take effect in April, it means that all workers in the second-largest employer in Bath and north east Somerset will be paid at least £9 an hour. The Living Wage Foundation currently sets £9 as the figure to reflect a truer cost of living once inflation is fully taken into account. This is significantly higher than the national living wage, which is set by the government and is currently at £7.83 for over 25s. 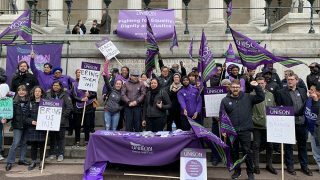 UNISON regional manager Gavin Brooks described it as “fantastic news for staff … UNISON would like to congratulate the university on setting the standard for other employers to meet. University director of human resources Richard Brooks said: “These are financially challenging times for the sector and it is important that we invest our resources in the right things. UNISON regional organiser Simon Newell added that the union “firmly believes that paying the real living wage is not only the right thing to do, but makes excellent business sense”. 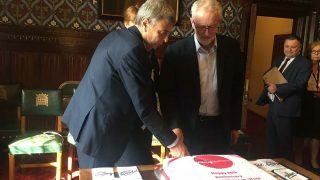 According to the Living Wage Foundation, since 2001, the campaign has affected over 180,000 employees and redistributed over £800m to some of the lowest-paid workers in the UK.